Cooking, teaching and having fun……. I have the pleasure of being a tutor at the WI Cookery School, Denman College based at Marcham near Abingdon. I really enjoy the environment there and when working with the students on the course I get a real thrill from their questions, enthusiasm and the food they produce. Recently I taught my Pies, Pates and Terrines course. I designed the course initially as a one day course but this one has been stretched to a three day course. A request from a member of the WI for the course to include a pork pie recipe was made earlier in the year and I re-designed the course including the traditional pork pie and new sweet recipes! The fun of these courses is working with students who have a wide range of experience and knowledge, the enthusiasm to learn and try something different. The resulting pork pie demonstrated as part of the course. The course is designed to simplify the process of making pastry, terrines and pates. The difference between pastries, such as sweet, shortcrust, strong, hot etc and how they can be used are clearly demonstrated. As for pates – by working with very simple ingredients such as smoked salmon and cream cheese using a simple method, combining these fresh tasting delicious ingredients you can make a beautiful pate. The process can be applied to any fresh ingredients to make your own favourite pate. This builds confidence and moving onto more complex recipes is not so daunting. It is the same with the Pie recipes, but I added some sweet pies to the course including my signature Normandy Apple Tarts and a fabulous Chocolate Tort made with chocolate and coconut milk. It is simple and a bonus is that it suits any one with a vegetarian or vegan diet. The terrine is a Celebration Terrine made with minced chicken, minced pork and duck breast, studded with green pistachios and red cranberries. All wrapped in pancetta. A colourful starter for a celebration dinner! Again the process is the same for any terrine and one you have the process you can gain confidence to try more complex terrines such as a Game Terrine. 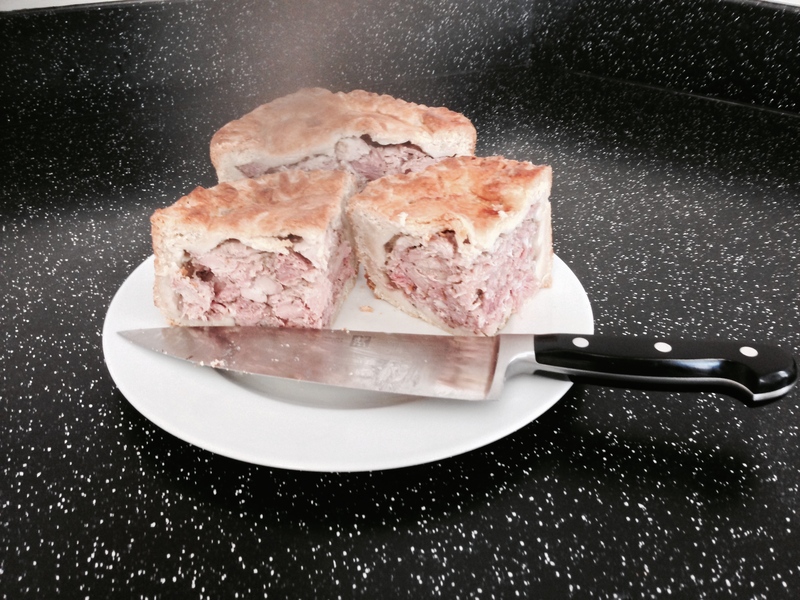 The Pork Pie is made using fresh quality meat: pork mince, diced shoulder, bacon, hock and belly. Boil the hock, I use smoked as it gives a deep flavour to the jelly, an essential in any pork pie. Diced the cooled ham hock and the rest of the meat, mix in a bowl and spice with nutmeg and or mace, herbs include thyme and rosemary if you like both. Season it all. Then the hot water crust pastry. This is a great pastry to work with and whilst you need to be speedy, don’t panic. Melt the lard, water together in a pan, get is boiling gently but be careful of any spitting that will happen as you pour the liquid into the sifted flour that has been seasoned with salt and pepper. Having previously lined the base of a spring form tin with baking paper and greased the base and sides with lard. Take approximately 3/4 of the pastry, bringing it together in a ball and drop it into the tin. Spread the pastry across the base evenly and pull the pastry up the sides of the tin. Ideally you want to get to the point where you have a small overlap of pasty hanging over the lip of the tin. Fill with the meat mixture. Then put a pice of cling-film on the worktop. Put the remaining pastry in the middle. Cover with a second sheet of cling-film and roll the pastry so that you have a disc just larger than the top of the pie. Pull off the top piece of cling-film and using your hand under the sheet and lifting the cling-film up over the pie you can line it up and drop the top onto the top of the pie. Seal the pastry together and make a hole in the centre of the top. Decorate if you like and brush with a beaten egg. Cook for about an hour at 180C Fan. The top of the pie will give you a great indication if it is cooked as it should be golden brown. If in doubt use a thermometer to check the meat is at 75C or more. When ready let is cool a bit before taking off the side of the tin. Do this by placing it on top of an upturned jug. Ensure that it fits within the circle of the tin. Release the side of the tin carefully. If there are any areas sticking use a sharp thin bladed knife to loosen being careful to keep the side of the tin in place. When released you can brush the side of the pie with the rest of the egg wash and pop back in the oven for a further 10 minutes. Remove and leave to cool, chill in the fridge overnight. To make the jelly the stock from the ham hock make have enough gelatin in it to stiffen but if not use a few sheets of gelatin leaves, soaking them in water for 20 minutes than adding them to the stock. Warm gently and stir to ensure the mixture is fully mixed.You can test the jellification state by putting a plate in the freezer for 10 minutes then dripping a little of the stock on the plate if it turns to a jelly you are ok. Otherwise add some more gelatin and repeat the process. Next day you can pour the jelly in liquid state into the hole on the top of the pie. You may need to make a few small holes with a skewer around the edges of the top of the pie. This helps the air to escape and make space for the jelly as it is poured in. 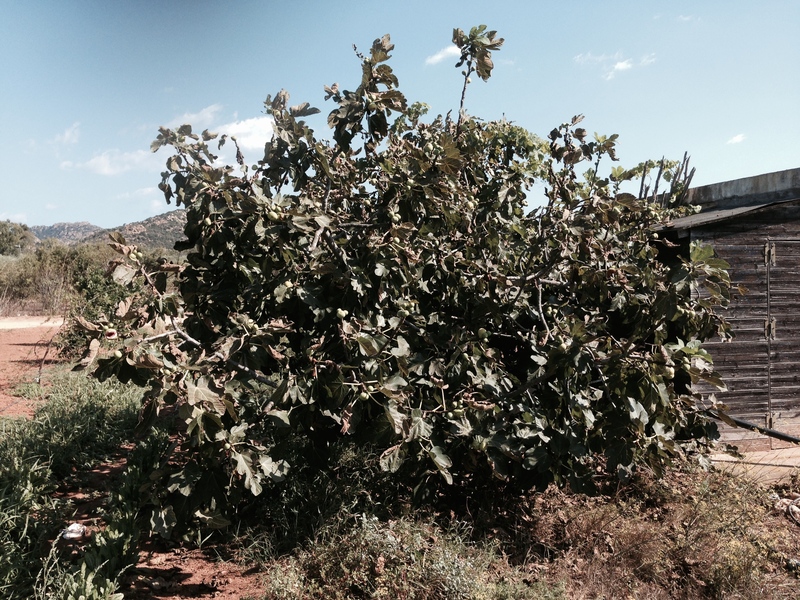 Sardinia – a brief encounter! The packing was left till the last-minute and then the small matter of the Italian air traffic control holding a four-hour strike. This meant we arrived at our destination around six in the evening, losing the opportunity to explore our hotel and the surrounding area in the afternoon, however, we discovered more about the area later. 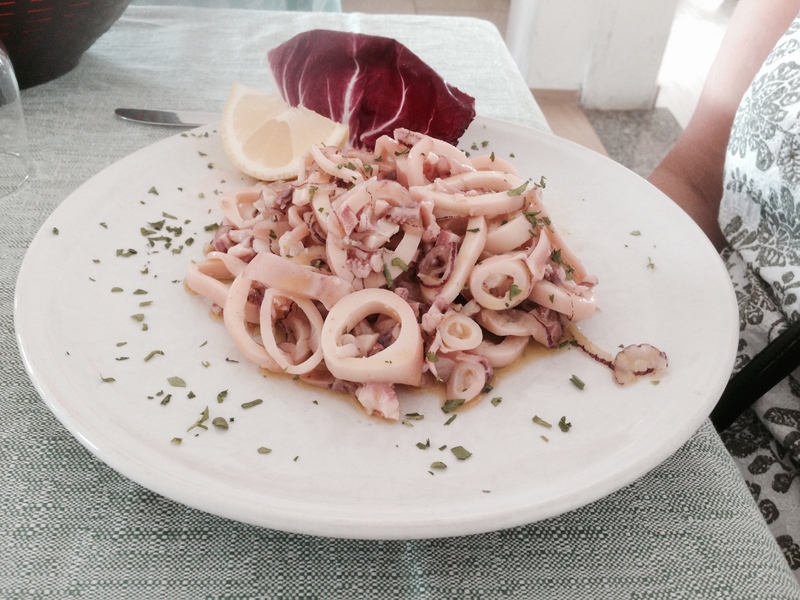 The Cala Ginepro Hotel serves traditional Sardinian food with familiar ingredients. The fun part about the evening meal is that it is four courses with minimal time between them! After a days travel the prospect of food was the only thing sustaining us. This rapid fire of the courses kept us amused all week. No matter, a long day of travel ended in fine form with a rapid four-course meal and some reviving cold local beer and white wine. A surprisingly traditional prawn cocktail followed by a fish risotto and then a delicious dish of freshly deep-fried fish and vegetables coated in a perfectly seasoned light breaded batter with huge quarters of limes and lemons. We declined the selection of desserts. Lots of fresh fabulous fish – great start to the holiday! The following morning we ventured into the village, stumbling upon the preparations for a wedding reception in the larger hotel in the resort. The reception room was beautifully decorated and the tables were lovingly prepared with a vine leaf wrapped flower display. The cake table was waiting for the centerpiece but it looked amazing with some simple and smaller cakes artistically decorated. For the younger guests a table of sweets was set out. Large glass jars filled with handmade sweets and chocolate covered almonds, raisins and much more. Alongside the jars were small white muslin bags with different coloured tapes to tie the contents in securely. The children at the celebration would be lured to that table all evening. The traditional dishes of lamb, goat and pork were served daily according to the hotel information. We were treated to lamb on the bone with mint and a white wine sauce. Beef olives but with little sauce, lots of seafood risotto and a sumptuous selection of salad leaves and pulses to make our own salads. A day out was required and we chose Orosei. It was hot, fascinating and fun. Taking the bus south on the SS125 and cresting a hill the bay of Orosei was laid out beneath us. The farmland was being irrigated and the sea was a shimmering blue carpet away to the left. On arriving in the Piazza du Popolo it was time for a coffee in a perfect little café and bar. Then off explore the town. The walk consisted of a four-mile tour around the town, including exploring the prison, churches and museum. Finally, a long hike out to the sea. Orosei has a lovely beach with some beautiful nature reserves behind the golden sand. You can, if prepared with the right equipment watch eagles, kingfishers and flamingoes in the lagoons. It was enough to spend a bit of time on the beach and then walk back to get a late lunch at Bar Manu. Starting with delicious music paper bread and a bowl of amandine clams, mussels and spaghetti in a light olive oil and parsley dressing, accompanied with a platter antipasto of squid, swordfish, sea bass in olive oil and orange dressing. Sampling the local beer, which is great, and the fabulous Torbato Prosecco from the Sella & Mosca vineyard near Sassari on the west coast of Sardinia. This became the favourite drink before eating. What a great way to relax and divine way to end the day in Orosei! Our beach is organised and has the obligatory rows of brollies and loungers. The sand is grey and coarse but the sun was a delight. A day of soaking up the UV interspersed with cups of cappuccino and then a tasty Panini for lunch. The bread itself was the size of a side plate in diameter and it had the best crust with soft fluffy inside cradling the salami, cheese and tomato. Ideal beach food! Exploring further afield the harbour town of La Caletta caught the imagination. Using the local bus, which is cheap, regular if off timetable at times, we left mid morning. Passing through the beautiful village of Santa Lucia we arrived in La Caletta. A short walk taking in the sights of the centre of the town, then on to the harbour and the goal of a coffee was achieved! The coffee never fails in these cafes and bars. They are made with care and are beautifully aromatic, smooth and full of flavour. The weather was not the best so we explored the long expansive beach but decided to look for a place to have a leisurely lunch. Second goal achieved when we found the beachfront restaurant of Meloni and Fresu. Squid Salad – no shortage of squid – delicious! 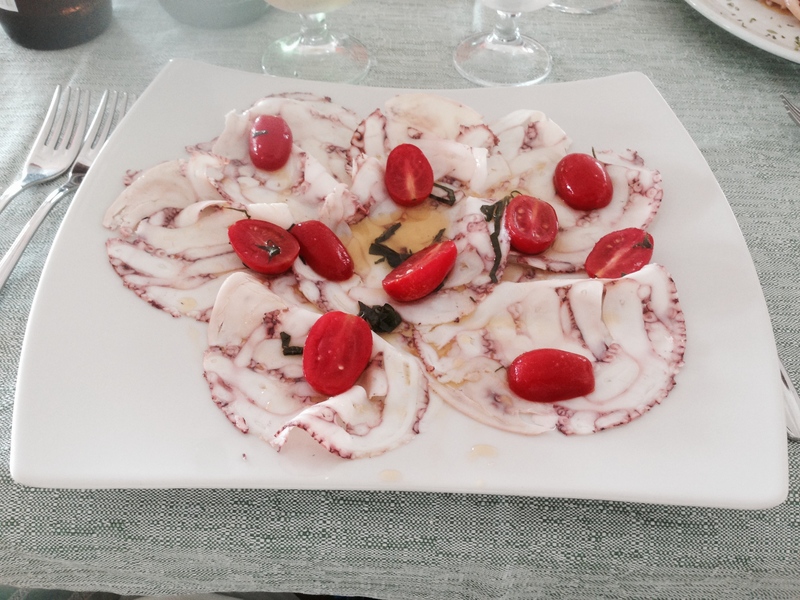 Octopus Carpaccio – stunning looks pepped up by the fresh basil and lemon juice, amazing! 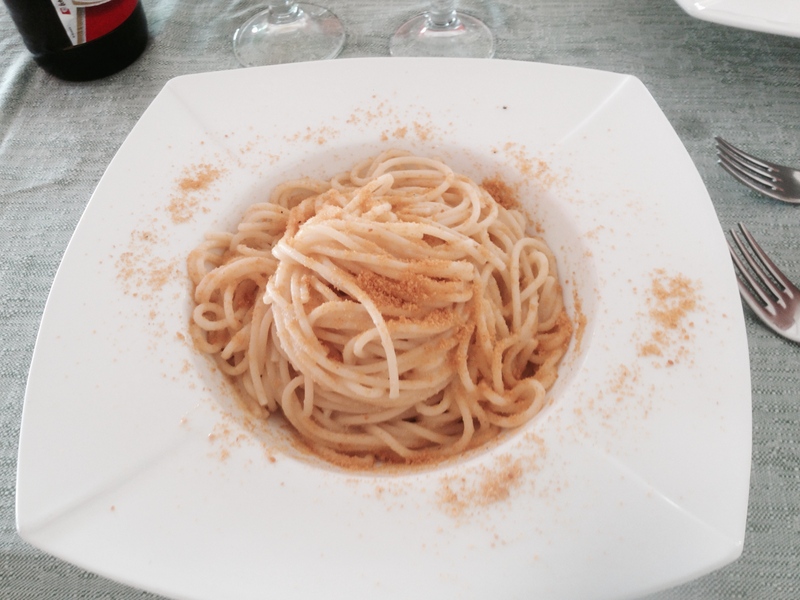 Borgata Spaghetti – Borgata is dried fish roe the ground and sprinkling on the pasta. Strong intense flavour complemented by the fresh tasting olive oil. 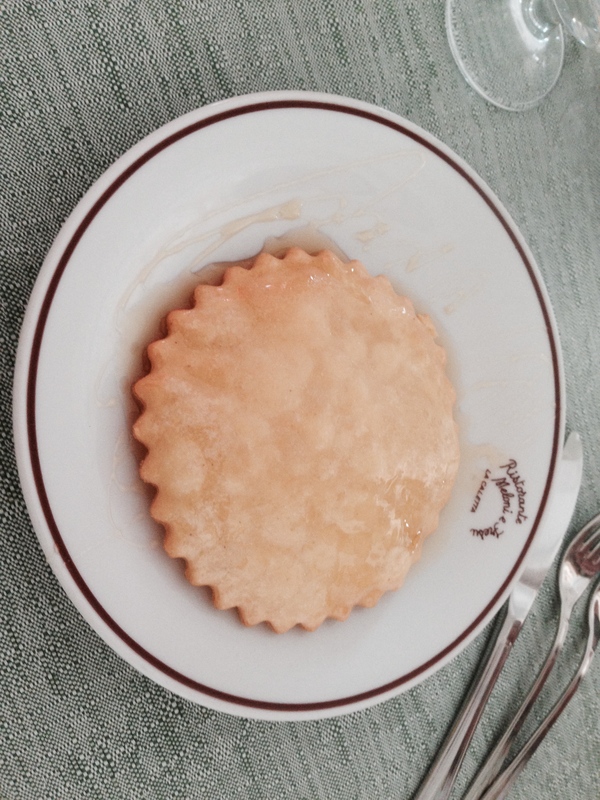 Seadas – a traditional Sardinian dessert combines Italian simplicity of ingredients with ingenuity. Pasta, cheese and honey! Simples…. The next day we decided to look in the area surrounding Cala Ginepro. What a treat! On one post breakfast perambulation we passed the Relax restaurant. Mental note made to try for lunch later that day. Continuing the walk we went in a circle and found a pine tree covered sea front with a long expansive beach. It was nearly 11am and the beach was littered with a few relaxing sun worshippers. Lovely! The Relax, is aptly named, just a few hundred yards from the hotel. 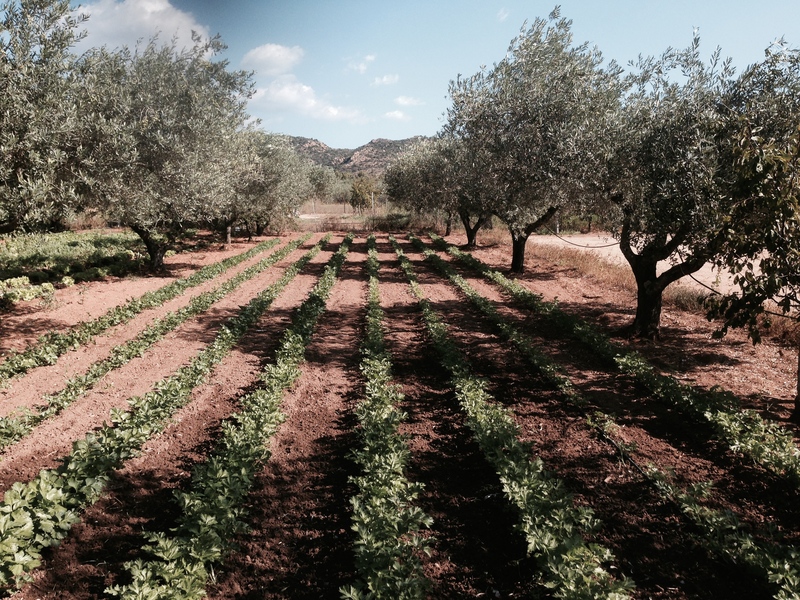 A real find with local Sardinian dishes, freshly cooked ingredients with taste and simplicity. Its owner had worked in Edinburgh and his english was great. 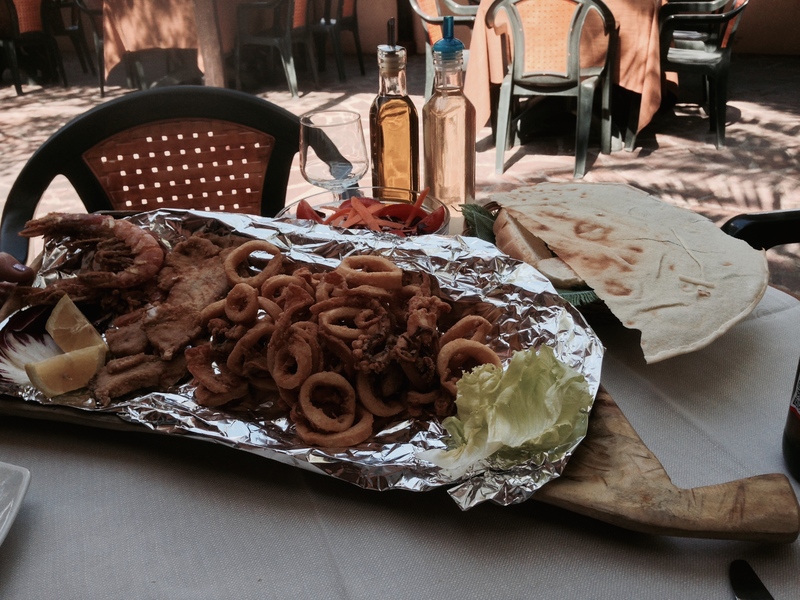 It transpires that “local” food is a big thing in Sardinia. The restaurant aims to source locally for everything. Blessed with fresh seafood is a huge plus, then with the pasta, vegetables and meats (fresh & cured) there is a lot going for the chefs in Sardinia. 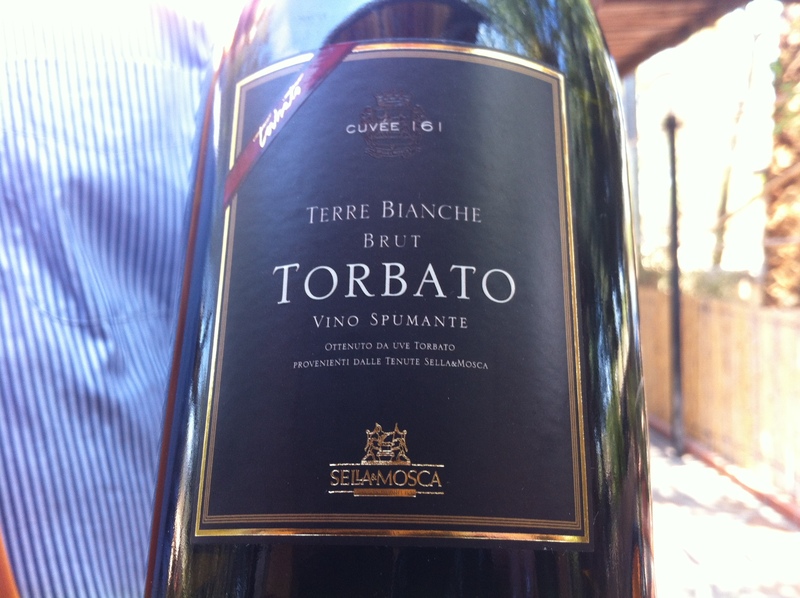 His treat was to offer us a glass or two of Torbato Prosecco. Islands fabulous sparkling Prosecco. Delicious! Once found you have to test it out so we had lunch there two days running. Day one consisted of local cured meats plate with a chunk of pecorino and some green olives. A simple dish full of different flavours and textures like the meat platters that are served at 1855 Wine Bar & Bistro in Oxford. 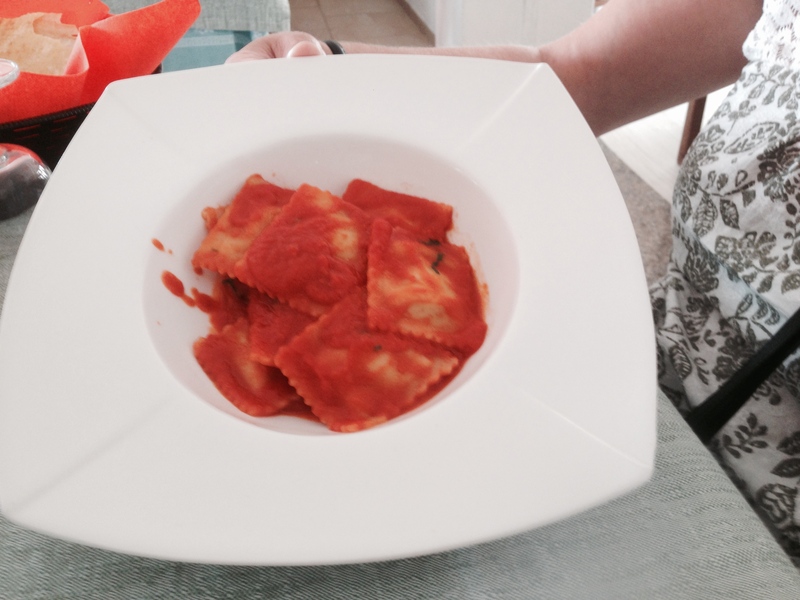 Then followed two fabulous pasta dishes, the first, a traditional mixture of potato and pecorino wrapped with a pasta coat covered in a fresh tomato sauce. The other dish was the Sardinian pasta with clams and chunks of tuna with the tomato sauce and diced tomatoes. Wonderful! Several drinks later, feeling more relaxed we found the beach! The following day we went back for lunch to the Relax. This time we had a platter of Frutti Misto. Superbly fried fresh squid, prawns, and tuna in a light crisp batter. Seasoned to perfection, served with a salad. Perfecto! The music sheet bread that comes with every meal is subtly seasoned and designed to tickle your taste buds. It can be seen on the right of the seafood platter. It is wonderfully simple! We discovered that our hotel had a 5-hectare garden where they grew a wide range of the salads and vegetables used in the kitchens. 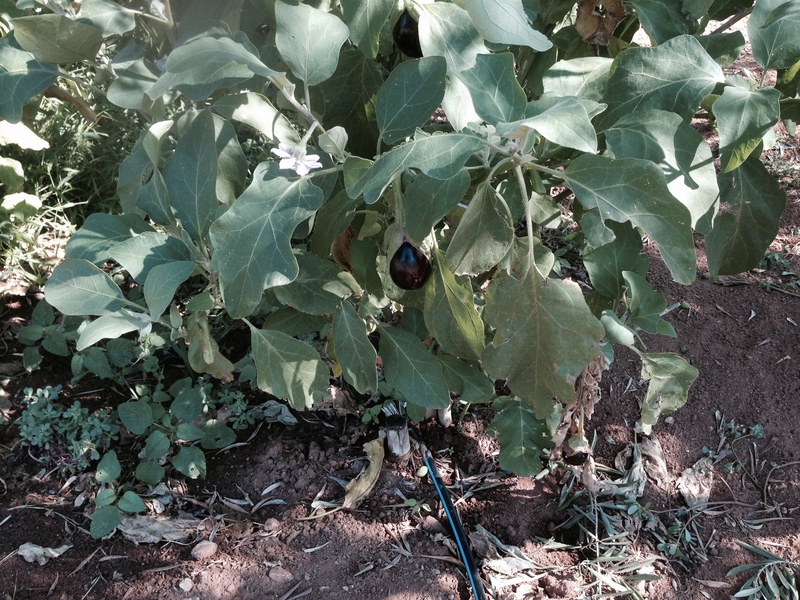 So we took time to have a look at the work and produce they get from the garden. 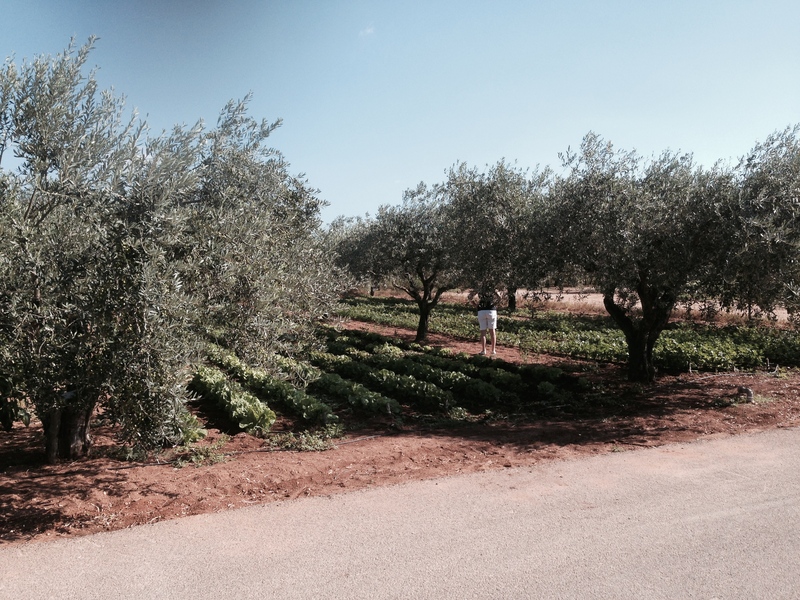 After a quick walk around the hotel we found the garden and the first impression is a well organised and managed area using olive trees to delineate areas and crops. 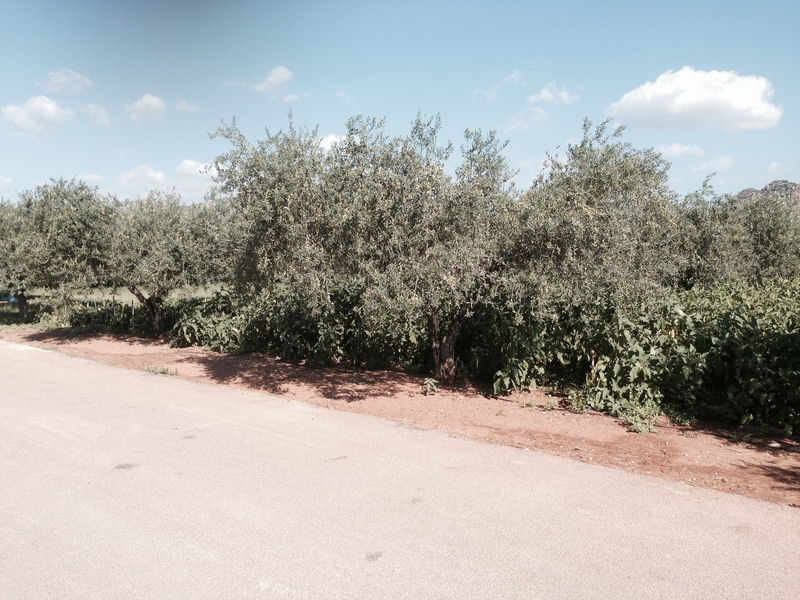 The olive trees provide a huge crop of olives with which they make their own olive oil, which we had been using every evening. As you can see from the pictures below the garden is beautiful. The irrigation system is well-managed and the gardens keep up a continuous supply of succulent lettuces, pepper, cucumbers, aubergines, basil, parley, celery and much more. The salad we can vouch for as that was a delicious and essential part of the evening meal. The Cala Ginepro Resort Gardens. 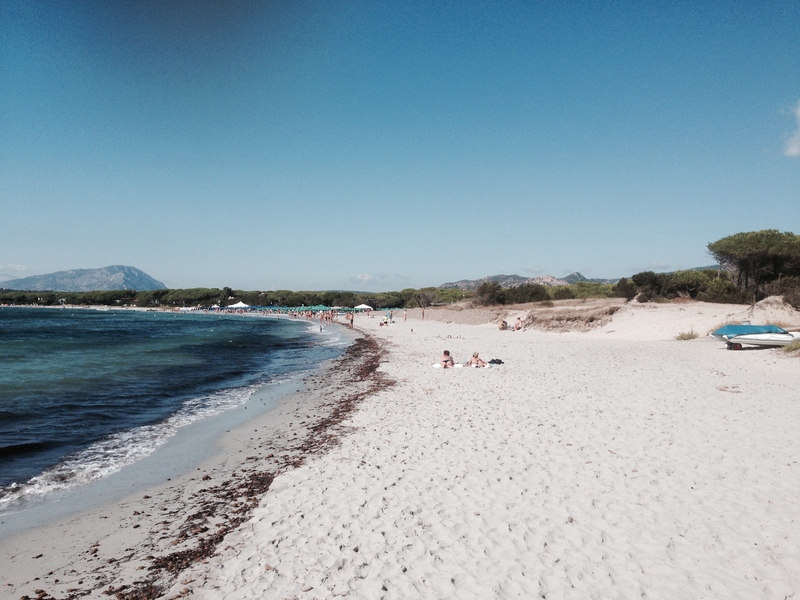 We stayed at the Cala Ginepro Hotel. The room was fabulous and the facilities, pools, bar and restaurant are excellent. Sardinia is approximately the same area as Wales, which means that there is a lot of island to see. What we saw and experienced was wonderful and the temperature in September through to October is about perfect. The sea temperature is also perfect. Away from the hotel beaches you will find many lovely beaches and coves. Perfect for a quiet day on the beach. Oh – if you are wondering the significance of the four heads on the Sardinian flag, we asked a local. The four heads represent the heads of four Moors found on the battlefield at Alcoraz in 1096. It was said that St George appeared and aided King Peter I of Aragon to victory, hence the St Georges flag and the four heads . Here is a list of places we stayed, visited and ate. There is more to see so we plan to go back! Highly recommend Sardinia for the sun, sand, sea, food, drink and activities. Lots to do and enjoy! The impression is that the British have not found Sardinia yet, they are more geared up for the Italians, Germans and French. 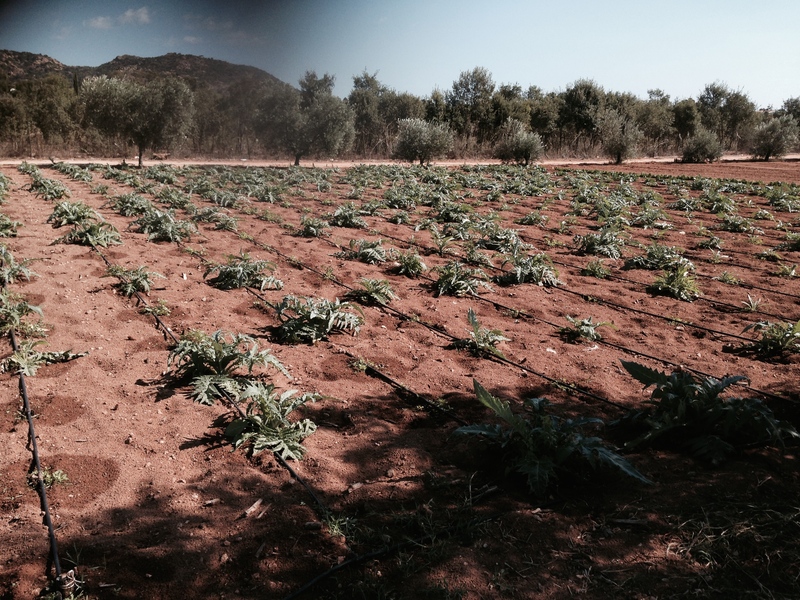 It is unspoilt and waiting to be discovered – put Sardinia on your list of places to visit. Wonderful food from around the world, where? Wonderful food from around the world, all to be found at the recent Wallingford Food Festival! The festival celebrates all that is local from meat, cheeses, bread, vegetables, beers, ciders, coffee and much more. The best way to demonstrate what you can do with wonderful local produce is have great chefs demonstrate their passion for cooking with great ingredients and talents to inspire you try yourself! This years (2014) festival was a wonderful celebration of food and drink all produced and available within 30 miles of Wallingford. The four annual festival welcomed over 55 producers and in two days nearly 5000 visitors. The weather was fabulous as was the atmosphere, boosted by the music from the Missing Persians and the Occasional Orchestra! The chefs lined up to demonstrate how to take wonderful ingredients and through their individual alchemy talents create extraordinary dishes for the receptive and appreciative audiences. Food from Brazil, Japan, Italy, Germany and the UK. What a celebration of local food and international cooking styles. Below is a selection of pictures from this years demonstrations – all suberbly managed and hosted by Jo Thoenes from BFBS Brize Norton. 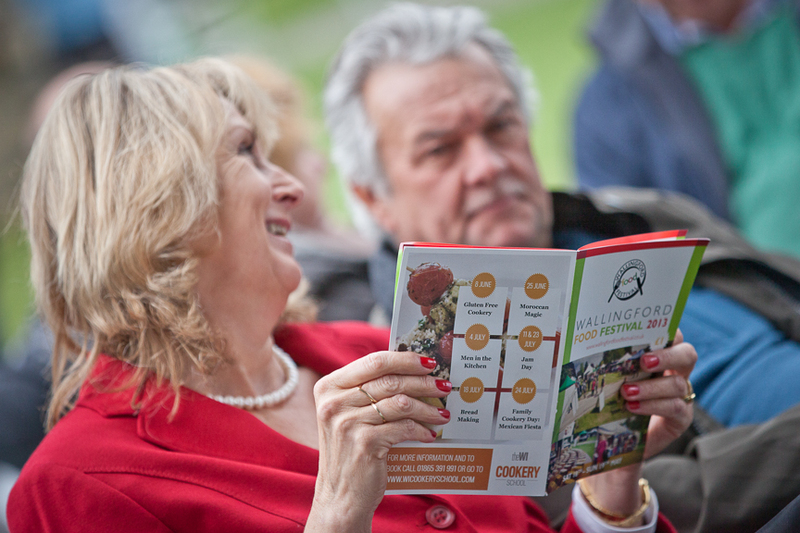 Watch out for the dates for 2015 festival and details of what is going on at wallingfordfoodfestival.co.uk, sign up for the email newsletter. 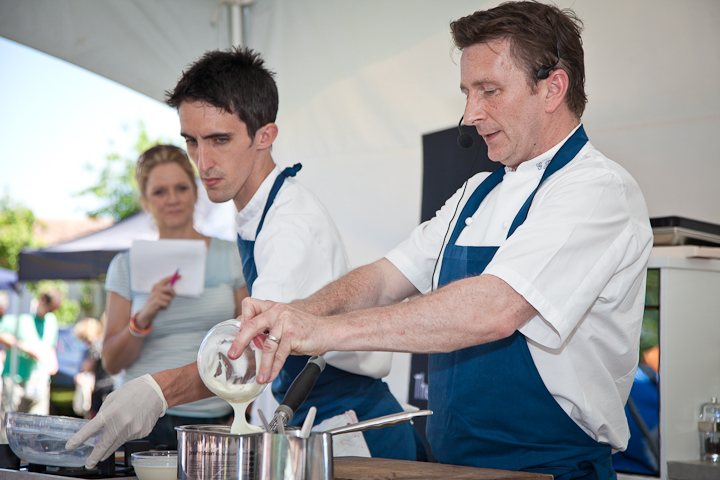 You can follow the festival on Twitter @wallingfoodfest plus Facebook at www.facebook.com/WallingfordFoodFestival . Why I love being a chef…….. This weekend I produced canapes and a three course meal for a client celebrating a significant birthday. Working with my wine expert partner, Alistair Cooper, the evening had everything. A tour around the world in the selection of the wines and a varied menu which I think also reflected the experience and range of the 10 guests also celebrating with the host. It was a fabulous experience for me, with the challenge of cooking in a totally unfamiliar kitchen and work space, it meant that the whole evening was spontaneous. 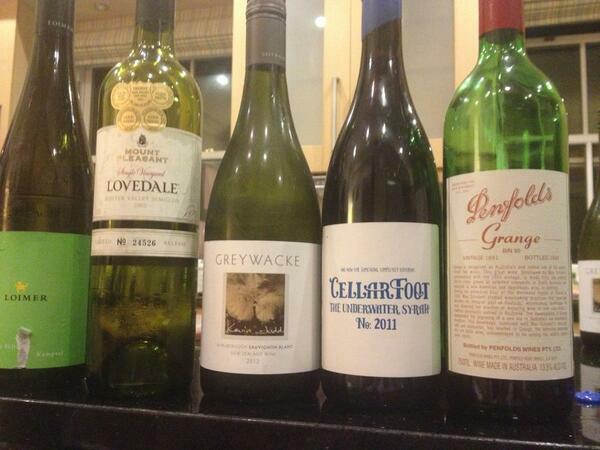 Alistair talked about the wines, why he selected them based on the menu and the client’s travels around the world. The guests, all great foodies, and experts enjoyed the scene setting before each course, with a little bit of explanation of some of the dishes as required. The enthusiasm for the wine and food was visible, with the result that there was little wasted. I have not seen plates that devoid of leftovers in a long time! Here is the menu with the wine choices below each course. A few pictures here as well to give a little sample of the flavour of the food and wine served. The evening was so much fun and our client had a great time which is the result that Alistair and I were aiming for. The chance to cook and provide both wine and food freshly cooked worked extremely well. We both enjoyed the experience, as much as we hope our clients did. These evenings are why I really enjoy my job and passion, seeing the two most important elements come together in a way that is appreciated and enjoyed makes the effort, hard work totally worthwhile. A big thank to our client for giving us the opportunity to be part of the celebrations and contributing to what was a special evening!. Whilst I have a moment of peace in the midst of a number of important projects I am involved with I thought now was a time to reflect on 2013 so far. Its been a bit of a roller-coaster (trying to avoid the word “journey” – ooops!) ride. The year started with an event for 80 people on the 5th of January. The events I have catered for since then have involved businesses and private events from 40th birthdays, to 80th birthdays and many more. It has been fun planning the menus, working with the clients and getting great feedback from all of these clients. I have also embarked on a teaching career at the WI Cookery School, with a session coming up on the 30th August which I am looking forward to. Along with this the regular broadcasting slot on BBC Radio Oxford is still keeping me busy as well as the writing for HC/OX and Pick Magazines. This writing thing is a lovely challenge and one that I enjoy doing battle with. Alongside all of this I am working on two new projects which will hopefully keep me very busy for the rest of the year. The first is a new website for local food and drink producers. I hope that we will see this go live in the next 3-4 months. The other project is a new wine bar opening in the Castle in central Oxford. I am proud to be asked to be involved in this and provide a large part of the menu that will be on offer with the fabulous wines selected by Alistair Cooper, my wine expert partner on the BBC radio spot. I will keep you posted on developments of both these projects and hopefully you will be able to participate in one or both of them yourselves! On reflection, I have thoroughly enjoyed this year so far. I have been lucky with the people I have met and worked with. I have had some interesting obstacles thrown in the path of some of these projects but nothing has dented my enthusiasm in getting the job done. So to everyone who has been involved with me, helped me and supported me can I say thank you! To my clients and customers I would also like to say thank you because without your support I could not do what I do, and continue to enjoy doing it with a passion. Here is to the rest of 2013 and beyond! Here comes the summer, BBQ or not to BBQ, that is the question. Cooking in the summer can be hot! I do mean hot, in my kitchen during these days of 28 degrees and above it has been a sauna, reaching over 36C at times. Cooking on a BBQ also has its challenges. It has been a busy time with BBQs and I love them for the simplicity of the cooking but the whole process can make the event very special. The first BBQ of the summer was in the middle of June. The weather had been kind but on the day there was thirty minutes of heavy rain! I was under the cover of a gazebo but the force of the rain was creating a fine mist, plus the amount of water coming off the roof created an inch deep puddle under my feet! The typically British stoicism kicked in and the cooking continued. I finally finished cooking for 65 people and the party continued well into the night! In the last six weeks I have had the pleasure of cooking for six events and the biggest challenge is not what you are going to cook on the BBQ but what you are going to put with the meats. Traditional dishes such as coleslaw are always a favourite but I like to add something different, a different element to a BBQ just to make it more interesting. So where do you start? Before getting into the meats etc it is nice to offer something cooked on the BBQ as a starter or nibble. This can be something as simple as prawns cooked in a pan with oil and plenty of garlic. 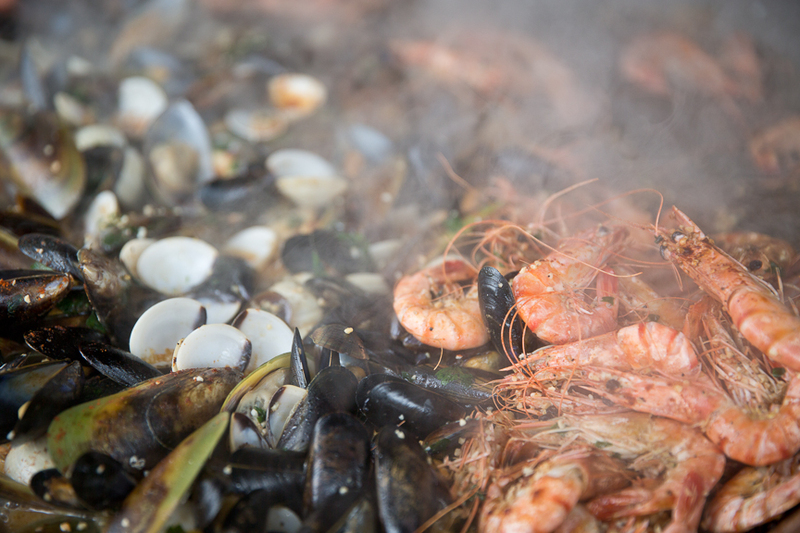 It may be messy but it is the epitome of finger food and a great way to get the party going – it also brings the sea closer to us here in Oxfordshire! Other starters include grilling a few small Portobello mushrooms on the BBQ and serving on half a bun with some fried onions and a little Dijon mustard spread on the bun. Just lightly oil the mushroom place stalk side down on the BBQ and cook for 2 minutes, turn and do the same for 2 minutes. Pre-slice some onions and have an oiled pan on the BBQ so that you can keep a regular supply of onions available to accompany the meat etc. As for the meats – I find that a selection of beef, lamb, chicken and the staples of a BBQ, sausages and burgers do the job. For those who are vegetarian etc I look for simple dishes that can be pre-cooked and finished on the BBQ, such as stuffed peppers, stuffed mushrooms (the large Portobello’s are great for that) and vegetable kebabs. Fish is good too – again a whole trout is a BBQ favourite and you can generally use sea bream or bass as an alternative. Use a fish cage to manage the fish on the BBQ – so much easier! Fish kebabs using cod, halibut and monk fish are also a fab BBQ meal. Marinade the fish in something like lemon and honey or a base of pureed mango and pineapple with some red chilli and coriander. Keep back some of the fruit to make a salsa to go with the fish when cooked. If you want to cook a piece of fish such as salmon, halibut etc I would use a metal tray covered with foil over the heat of the BBQ – the heat of the BBQ can quickly over cook the fish so you do need to watch it carefully. If you are doing kebabs – get metal skewers as you will find the wooden ones burn away, plus the metal conducts some heat into the items on the skewer. Now for the meat, your local butcher should have a selection of flavours and these are great for the BBQ – I typically pre-cook a large number of sausages before a BBQ as it easier and quicker to cook all of the BBQ food this way. I would recommend you pre-cook chicken if you are going to BBQ it. I like to marinade it overnight with a lemon and honey mix or a Chinese style mix made with soy sauce, hoisin, fish sauce, rice wine, five spice and sugar. The meat tenderises and with the pre- cooking takes on the flavours of the marinade. Finishing them on the BBQ results in the great flavour combination of the marinade and the smokiness of the BBQ, fabulous! When cooking steaks, either lamb or beef, I look for a simple cut of meat and not too thick. With beef steaks such as sirloin, rump and so on I feel are best cooked in a pan – they require more careful cooking rather than being exposed to the open fire. A minute steak is a great option as it cooks quickly and can be left for a shorter time to relax and then served. The steak is great with a salad or in a crusty baguette with some onions. With the lamb steak there will be a lot of fat on the meat so you have to watch the heat on the BBQ. You want to lose the fat but you don’t want to burn the meat to a carbon fibre level! 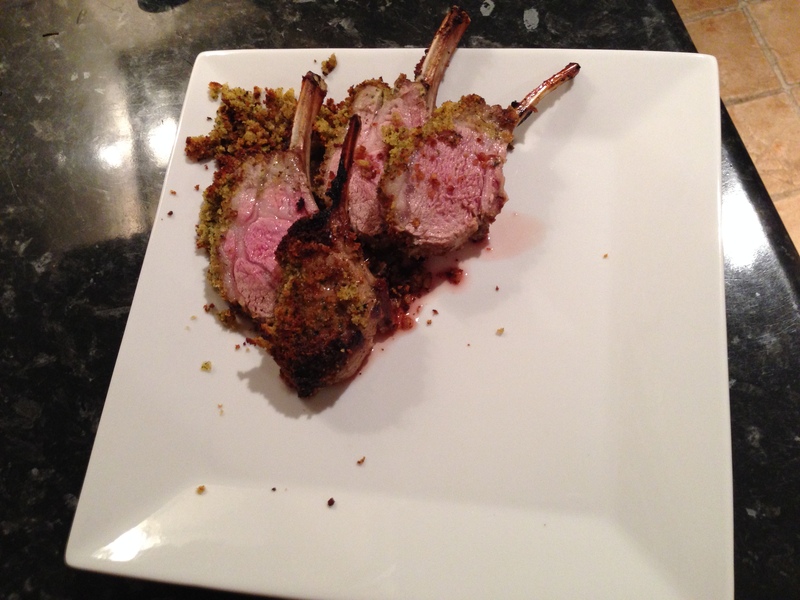 The lamb should be no more than ½ inch thick and approx. 150 grams in weight. If you are serving other meat and fish from the BBQ allow 3-4 pieces per person. Salads – what to make! The traditional salad leaves with tomatoes and cucumber is great, simple and refreshing. I like to spice it up a little with some classics such as coleslaw but salads such as spinach and strawberries or Asian salad with a chilli dressing. Adding a sophisticated salad or two adds a new dimension to the BBQ. Starting with the traditional salads let’s make a coleslaw. For this get a small white cabbage and a small red cabbage, carrots (500g) and a couple of onions. Slice the onions into a bowl, peel and grate the carrots into the bowl. Cut the cabbages in half and use one half of each by cutting out the stalk and then cut ¼ inch or less slices and add to the bowl. Using a good mayonnaise dollop it into the dish until you get the wetness you want. Don’t make it too dry. You can vary this by adding peanuts, or chopped apple and some herbs such as chives. You can also tweak the flavour with a teaspoon or two of lemon juice. Potato salad is great with BBQ food. Using good small potatoes such as Charlottes or Anya’s, boil until they are cooked, you will need to keep an eye on the texture as an over cooked potato will feel soggy and not taste nice. You want a firm potato. Rinse and leave in cold water till cooled down. Remove and drain. Cut into slices and put in a bowl. When ready add dollops of the aforementioned mayo and add some chopped chives and season. Delicious! What about spicing up the salad? A simple green salad is fab but making something that has unusual ingredients or a different style will make the BBQ memorable. I have been making Tabouleh, a bulgar wheat based dish which has its roots in the Mediterranean and North Africa. It is simple and a great dish for BBQs. Put the quantity of bulgar wheat required in a bowl (50g for 2 people) and cover with boiling water. Leave for 20-30 minutes. In that time prepare some spring onions cut into small slices, use 2-3 medium sized tomatoes, cut in half and remove the seeds and dice the flesh roughly. Using half a cucumber dice it and when the wheat is ready rinse through with cold water and leave to drain. Then mix all ingredients in a bowl and season. Add olive oil and lemon juice, taste and add more of each until you are happy. Then keep in fridge ready for using. I enjoy a plate of Tabouleh for lunch in these hot days. Refreshing and tasty! What about using Strawberries, plenty around and great with cream but with some fresh young spinach leaves and a tangy dressing they make a great fresh salad. Rinse and drain the spinach leaves. Hull and quarter the strawberries. Get some pancetta or bacon lardons, fry until brown and crisp. Drain the oil and leave to cool. Now make the dressing which is an equal amount of oil (olive or rapeseed etc) to cider vinegar. Add a good pinch of paprika and a spoon of sugar, salt and a teaspoon of sesame seeds and poppy seeds. Mix and taste, adding more of any ingredient you need to. Chill in the fridge for an hour. When ready to put the salad together put the spinach, strawberries and some flaked almonds in a bowl, mix and add the dressing as much as needed. Crunchy, sweet and tangy. I love making an Asian salad which adds a real twist to a BBQ. Using blanched sliced carrots, mange tout, diced cucumber, chopped water chestnuts, diced spring onions, sliced Chinese cabbage put all of the cooled ingredients in a bowl. Make the dressing with chopped chillies, chopped fresh ginger and garlic and a spoon or two of sugar. Mix Sesame oil, Saff oil and rice wine vinegar with a teaspoon of English mustard powder. Mix the ingredients in the oil mix and chill. That’s the dressing made. You could vary the vinegar with some raspberry vinegar to create another dimension to the salad. When ready to serve put all of the ingredients in a bowl and pour the dressing over. What about desserts I hear you ask. Well keep it simple. I am sure you will have similar recipe, I love putting bananas on the BBQ. Take a square of foil, butter it and remove the banana from the skin and place on the foil. Cover with a sprinkle of cinnamon, teaspoon of brandy and lemon juice, top with a knob of butter. Wrap the two ends of the foil together and make as many as you need. Put on the BBQ rack or in the glowing embers. Leave for 10-15 minutes, depending on the heat. Serve by opening the foil and draining the softened banana and the hot juice into a bowl, serve with cream! 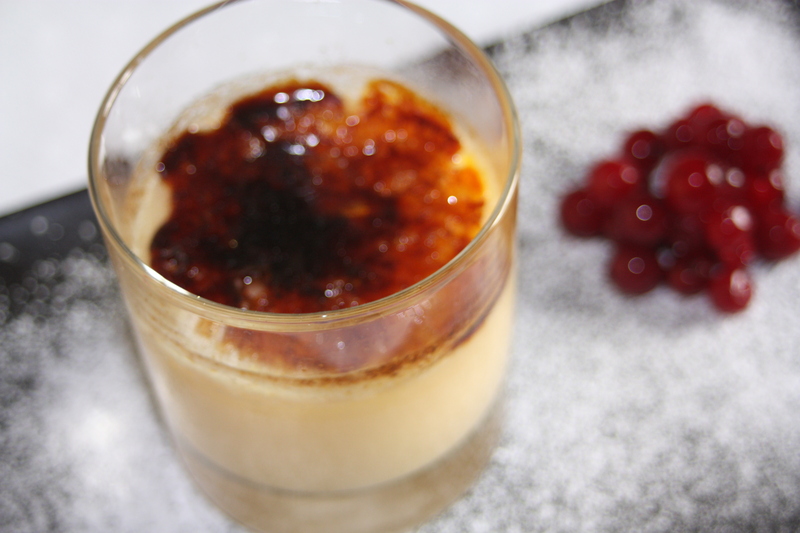 What could be a more simple, fabulous and delicious way to round off a BBQ. I hope that this look at the BBQ will inspire you to look at the BBQ differently. Please contact me if you have any questions. Recipes are available on www.thelatechef.com, or my blog www.thelatechef.wordpress.com and www.pick.com . Please send me any questions you may have to me: paul@thelatechef.com. For information about the Wallingford Food Festival go to: www.wallingfordfoodfestival.co.uk . Its been a very busy time and my cooking last week started with four tiers for a wedding cake. However, not a cake but a pork pie cake. Making four tiers or four large pork pies that were to be stacked and presented as part of a wedding celebration was I must admit a bit of a novelty to me but having looked on the web and found a number of butchers etc, who not only make the pork pies but also provide the full service of stacking and dressing the pies, opened my eyes to a new area of catering. I understand large rounds of cheeses are also used in a similar way. It seems odd to call it a cake but I suppose it sometimes replaces the traditional wedding cake or it is an addition to the menu at the larger reception that follows the meal after a wedding these days. In many ways it is a great way of celebrating a traditional dish as part of a traditional ceremony in a modern age. It may also hark back to the day when expensive food was not an option and when the more traditional home made recipes held a valued part of our diets and lives. I enjoyed the process of making the pies. The mix of the meat used a number of cuts:- diced shoulder, minced shoulder, diced belly, hock and streaky bacon. Mixed together with spices and herbs to create a wonderful flavour and marrying well with the meat. This picture shows the inspiration of making the pork pies had on me! I made 3 larger pork pies and 10 individual pork pies for the markets I was at, East Oxford Farmers Market on Saturday and Wolvercote Farmers Market on Sunday. I also made a Chicken and Ham Hock raised pie. I sold out, fabulous! It tells me that there is an interest in traditional recipes made with local produce. Thanks to all those who bought a piece of my pies. I am expecting a photo from my client of the pork pies dressed for the wedding. When I get it I will write more about it and put the photo on the blog. My client was happy with the pies as there was over 8KG of pork pie and all of it was eaten on the night! More reasons to buy local local, cook local, eat local. With the continuing news on the use of horse meat and the additional news of pork in non pork meals in our prepared and processed foods it is becoming apparent that the processing and the movement of the meat is an unsustainable journey that extends across Europe. This offers the opportunity to put cheaper and potentially lower quality ingredient into these foods by hiding it at any of the multiple points of handling. As a Chef I find the details depressing and a result of the current legislation and rules governing meat and its processing. It is obvious that the proper safeguards are not in place and do not ensure that the customer gets what they have paid for. Driving down prices purely to maximise the profit is not sustainable. The responsibility for care of the ingredients being used and the end product being made to right quality and made from the right ingredients is lost in these long links of producers, manufactures and retailers. The coverage in the media reveals more and more practises that I find reprehensible. If a ready made meal says made with Beef it should have Beef in it! As a customer I feel the retailers have not fulfilled their responsibility of ensuring that the products they source are made from the ingredients on the label. What are the retailers doing to ensure that they live up to this responsibility? Not much it would appear, profit seems to be the only driving force all the way down the supply chain. This issue highlights the difficulty for consumers. How do you know for sure what is in the packaging is genuine? You don’t is the simple answer. We should all be asking the retailers with questions about the products they are selling. We should be asking for confirmation that they can prove that the meat ingredient is what is should be in every line of ready prepared meal. I suggest they put on their websites details of all producers/manufacturers along with the mechanisms they use to ensure the provenance of the products they source. This way we can at least start to see a link in the chain between field, abbattoir, butcher, manufacturer, retailer to the consumer. In the multi-million $, £ and Euro business that is food production and food manufacturing the consumer has a right to know what they are buying and eating, they are also responsible for what they buy and eat. Therefore the consumer has a duty to themselves and others to push the food industry to be open and transparent in what they produce, manufacture and sell. In the end this may well be a labelling issue but it highlights the fragility of the system and the lack of safeguards mean that we cannot trust the products we buy as much as we thought we could. I have to have a system that shows how my work processes reduce the risk of contaminating the food I source to produce my products. Alongside this I have record how I process the ingredients, show my process of cooking and storing the food. I also have to record the state of my kitchen equipment and its operation. I do not mind doing this because it demonstrates the fact that I take care in what I do with the ingredients and the environment in the kitchen. I went through my recent inspection in the last week and this makes me feel good from the point of view that I can show to my clients that I have been inspected and found to be working at the highest level. There will always be a minority of people trying to profit from breaking the law. The consumers have to start using their purchasing power to influence the mindset of the larger supermarket retailers to be clear about the food they source and how it is prepared. Lets not wait for government to take action – consumers lead the way! Challenge your retailers and if you do not like the answer you get change retailer, use your power – the cash you spend on food! Wallingford Food Festival – growing up fast! Having started The Late Chef in 2009 and getting involved with local markets to promote my food and catering, I found a wonderful range of great food and drink producers in Oxfordshire, Berkshire and adjoining counties. All of these producers are passionate and proud of the produce they create. I agree, the quality and excellence of the produce is amazing! I use locally produced ingredients for many of my dishes and for the events that I am asked to cater for. 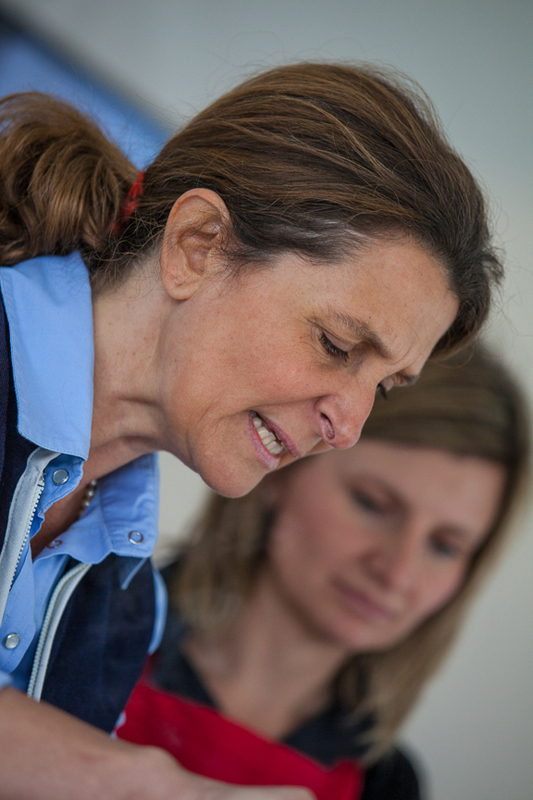 It is one of the values that I know makes a difference to my clients. In 2011, after a conversation with one of my producer colleagues, I came up with the idea of starting a food festival to give the food and drink producers an outlet to show off their products. The idea was sold to local organisations, district and town councils and sponsors. The event had funding and a location. I spent time on creating a logo plus I developed the website. All was done as cost effectively as possible. The design for the logo was done by a local graphic designer and it captures everything about the festival, simply, it is all about food and drink. From idea to event in ten weeks! The result was a festival that had 24 producers exhibiting, 6 local sponsors and a number of cooking demos and presentations on growing vegetables, making bread, beer and so on. Over 1500 visitors attended that first festival. On top of all this fantastic produce, chefs, sponsors etc we had Jo Thoenes from BBC Radio Oxford hosting the chefs demos and BBC Radio Oxford Saturday morning show with Phil Gayle and Lou Hannan was broadcast from the festival! 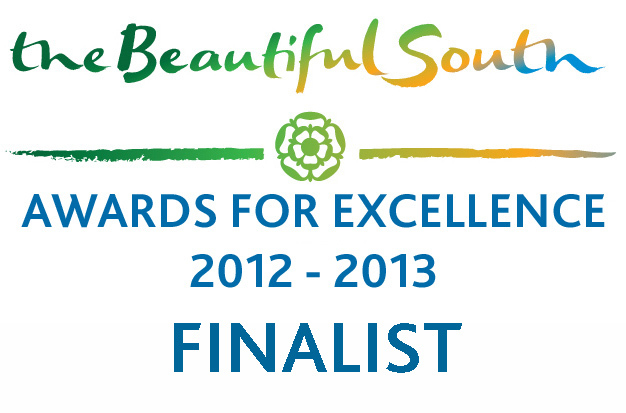 It was suggested to me that I should enter the festival into the Tourism South Awards. I checked the website and filled in the forms. That was in June. Last week an email arrived, informing me that the Wallingford Food Festival had been nominated as finalist in the Tourism Events category! The news left me speechless but then the more I have thought about it the better it gets. The festival has been running for two years. It has grown and it is financially self-supporting. The effort by my colleagues and volunteers has been recognised by this nomination. It acknowledges the fact that people have taken their time and effort to put on an event that people want to come to meet producers, taste good food and watch the chefs cook with the ingredients available from the producers around the festival. It is an event that, I hope, Wallingford is proud of and will continue to support in future years. It showcases the best of the food available locally, the chefs who cook it, the chance to taste all of the different types of food produced locally. The festival also aims to work with local businesses and all bar one of the sponsors is a local company that has provided services, support or cash or a mix of all three. The plans for 2013 Wallingford Food Festival are now well underway and when we know the final result of our nomination (28th November) we will be announcing more details about next years festival. The nomination is a spur to keep building the foundations for a great event that the people can be part of or just visit, but it also gives the festival some wider profile and should help to generate more visitors to not only the festival but also the town. The 2012 Festival just before gates opened to the public. Wish us luck for the results on the 28th November! Please follow the festival on Twitter and or Facebook.